Every year the Sea-Doo Marketing team and agencies produce a photo shoot for the next years model line up of Sea-Doo watercraft, boats, riding gear, clothing and accessories. 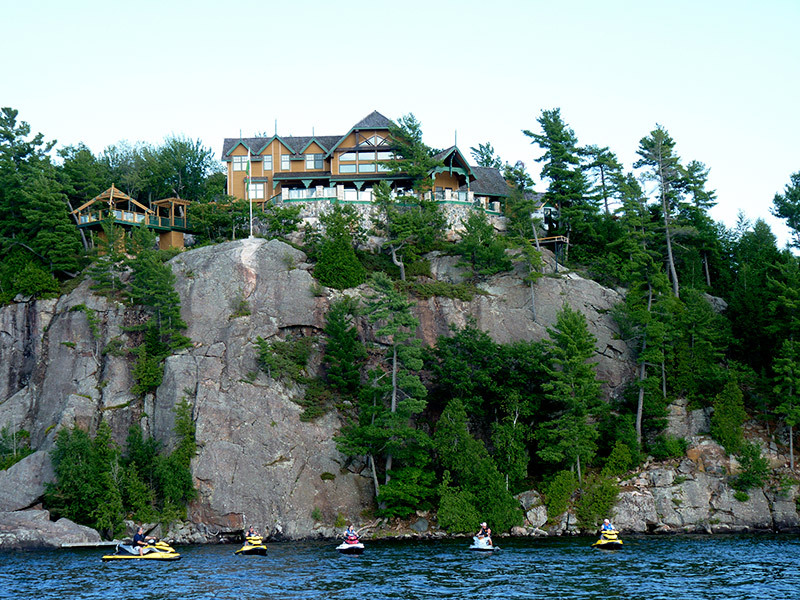 World class photographers, videographers and film makers are collected to capture the “Sea-Doo Life”. For specific shots the best talent in the world is brought in to ensure they get “the shot”. In 2012 this including 4X World PWC racing champion James Bushell from the UK to show how the new RXP-X carves buoys tighter than anything before it. Nike 6.0 wakeskate team rider Nick Taylor put in a long morning and afternoon session for the cameras to showcase the fun to be had behind a Sea-Doo WAKE 155 and WAKE PRO 215 watercraft. Both of these talented water breathers are true one take wonders and save the production team a tremendous amount of time and money, by efficiently hitting their marks giving the audience – you – what they want to see. But did you wonder what happens behind the scenes? Here is a brief look at what is going on behind the lens during the Sea-Doo Photo Shoot. 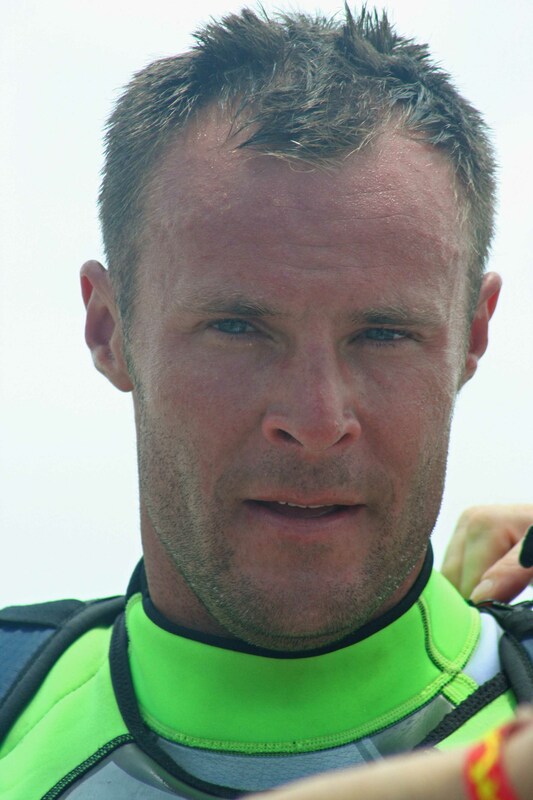 Brian Baldwin is a veteran of PWC closed course racing around the south eastern United States and feeds his competitive hunger by racing Sea-Doo watercraft. Baldwin may not have the funding and may not be as well known as many pro racers but insiders say his talent may about to peak. He has been a front runner and is awaiting the few little breaks to happen that sets you a part from the top of the podium and looking up to the top. With the IJSBA World Finals around the corner, this could possibly be the year Baldwin breaks into the elite group of Sea-Doo watercraft racers. Brian, where did you grow up and how was your competitive spirit developed? I grew up in a small town in North Carolina mountains called Mills River, I can remember from an early age always feeling I had to be faster than anyone else and that desire has always been there. If competition is involved I like being involved, it really gets my blood pumping. I try to never be off the water but when it’s too cold I like to ride dirt bikes it really helps me stay fit. I’m not a big workout guy so I try to ride dirtbikes and snowmobiles during the winter to stay in shape. I work at a powersports repair shop to keep my slew of pwc running. North Carolina's Brian Baldwin takes to the flat water and surf races aboard his Sea-Doo watercraft. Brian, How were you introduced to watersports? I grew up on a small lake up in North Carolina, Lake James and I have been in and around the water my entire life. I got into jet skis at a very early age and my love for the sport continues to grow with age. I am a four time National PWC racing Champion; Pro 1200 stock , and 3x Pro Runabout 800 open, I am also the current and reigning Pro Runabout 800 Open World Champion. Brian, Where is your favorite PWC race site? I have to say the Lake Norman North Carolina race, because I was able to ride my race Sea-Doo from my house to the race site! I have been asked this question multiple times and the only answer I can come up with is I grew up on PWC and competition is a huge part of who I am! 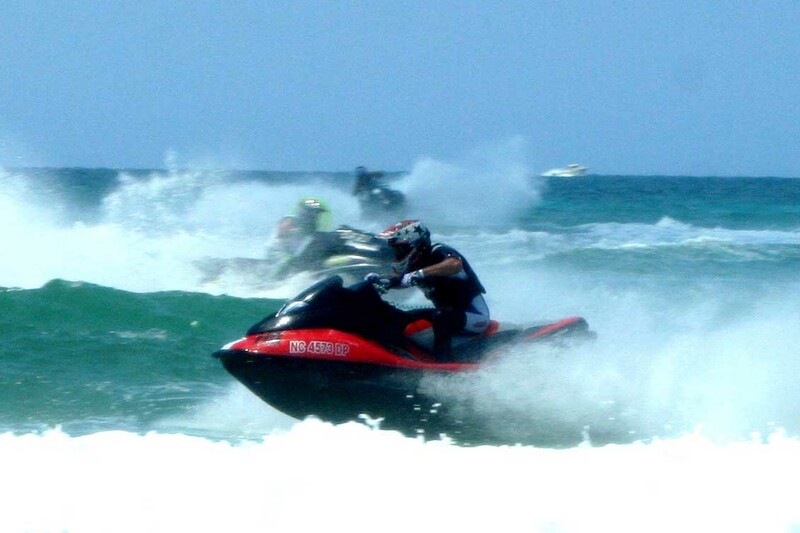 The love of Sea-Doo racing …its in my blood !!! Brian, where is your favorite non-racing, riding location? Or what is your dream ride? My favorite riding location is right in my own back yard, Lake Norman, Denver, NC. Lake Norman is a large lake where we can take extended rides, set up buoys and practice and it has beautiful clean water and great scenery. My dream ride would be a long distance, adventure ride from Florida to the Bahamas with my wife. Baldwin is preparing for a historic IJSBA World Finals in two weeks. What are you racing right now and what are looking forward to? I currently race a 1997 Sea-Doo XP 800 and a Sea-Doo GTX. I really, really look forward to racing the new 2012 RXP-X. I think that new model alone is going to give pwc racing a new face. BRP thanks Brian Baldwin for his time and dedication to the pursuit of PWC racing glory aboard Sea-Doo. You can follow Brian’s results at the coming IJSBA World Finals event at http://www.ijsba.com. Nick Taylor could certainly be classified as a bonified “water breather”. Growing up on Florida’s Gulf Coast in a small vacation destination city surrounded by water he has spent the majority of his life doing things around, on, or in the water. While many wakeskaters hone their skills via skateboards while not on the end of a rope, Taylor comes from a saltier background. Nick is a surfer at heart. But living on the West coast of Florida doesn’t offer a plethora of waves, so in comes Sea-Doo watercraft and small skiffs. Taylor has taken his smooth, flowing style to the sport of wakeskating and is arguably a top five in the world rider right now. He has built his own secret rail park in the mangroves of his back bay that can only be accessed by the shallow water capabilities of his Sea-Doo WAKE 155 to hone his skills, skills that allow him to land almost any trick, smooth and consistently. During the filming of the Sea-Doo/Nike 6.0 “DOO IT” wake skate how to videos, Taylor rode for nearly 4 miles straight completing the same trick roughly 50 times in a row with out a single fall. His talent and super model looks have rocketed him to being one of the most popular wakeskaters in the world and we caught up with him just before he was boarding a plane to film a epic adventure on the once a year wave that travels down a river in China. Nick, where did you grow up and where does your passion for watersports come from? I grew up on Anna Maria Island (Florida) and spent the majority of my childhood playing in the clear glassy saltwater of the Gulf. I don’t think I’ll ever stop. My idea of “away from the water” is the time I have to sleep at night, but now that I’m living on the houseboat that my friends and I rebuilt, I’m still on the water! I am a professional wakeskater and global adventurer. How were you introduced to Wakeskating? Mostly through the generosity of the Webb family. Joe Webb gave me my first surfboard when I was 10 and learning how to surf changed my life. JD Webb moved away from the island at a young age and became a professional wakeboarder, and through what he sent back by means of videos and magazines, he introduced me to that side of watersports and it went off from there. Nick, since then what are some of the adventurous rides you have done? Six of Seven continents in one year, bullshark rivers in Australia, rice paddies in the Philippines, pulling into big waves in California and Hawaii, and boardsliding the deck of my houseboat. Which is your favorite wakeskate related event you have been a part of? Nike 6.0 Retention has been my favorite wakeskate competition, but there have been countless events that I’ve been fortunate enough to be a part of, that I could call my favorite. Nick, how does Sea-Doo fit into your riding? 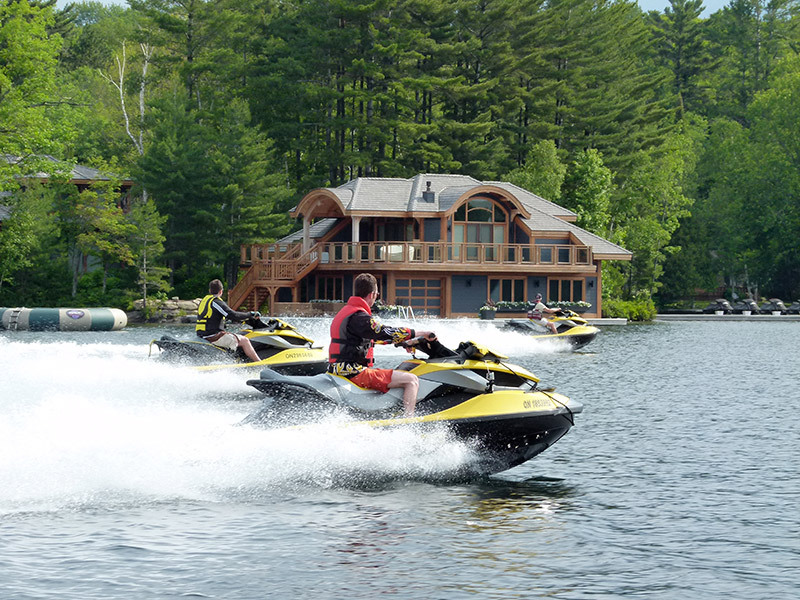 Having a Sea-Doo WAKE watercraft has been a crucial part of my personal progression and has allowed me to stay on point over the last few years. With all the improvements on the Wake Edition every year, it’s been amazing to see my feedback turned into new technologies and features. Tell us about your backyard Houseboat and the salt life on Anna Maria. 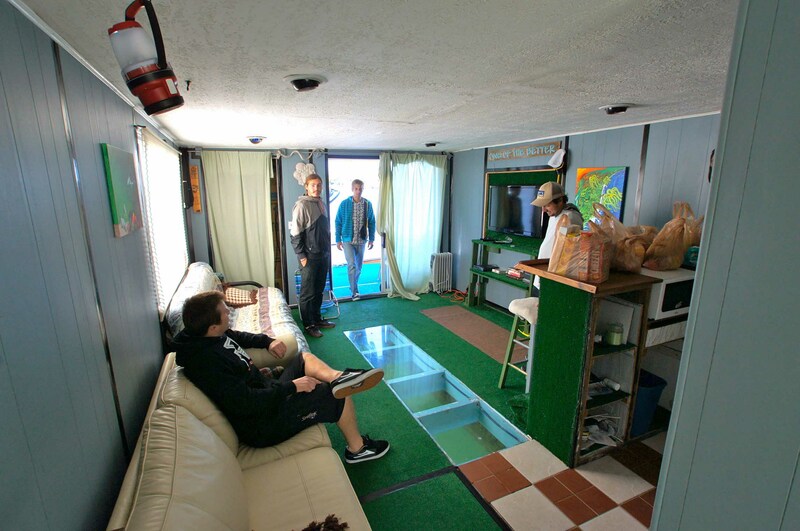 The houseboat was my answer to living on my own, not wanting to pay rent, and wanting to stay close to the water. With my close circle of friends and our collective backgrounds in boatbuilding, carpentry, and “that should work”, we made the dream a reality. 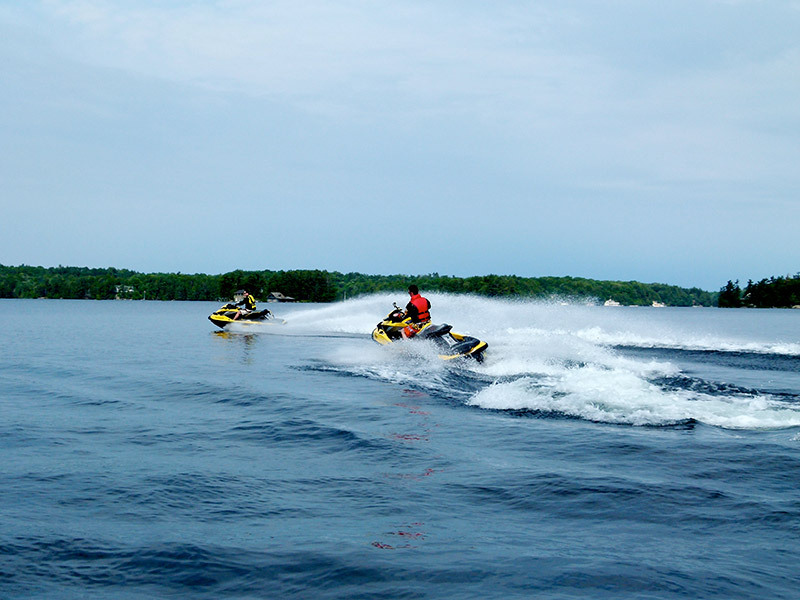 What was the coolest riding you have done behind a Sea-Doo? Whether it’s putting on a demo for hundreds of kids, or full-moon riding in some salty backwater lagoon, riding through volcanic islands in the South Pacific, or just a normal day at home wakeskating with my friends… it’s all part of the same ride and I’ll never take it for granted. What is it about Wakeskating that keeps you coming back? Wakeskating is a creative outlet for me that never gets old. It’s a place where I can do things exactly how I want to and there’s no coach on the sidelines blowing a whistle at me. We’ve only begun to scratch the surface of what’s possible on a wakeskate and that’s pretty exciting to me also… Simply riding a wakeskate across the water is an amazing feeling for sure. The 2012 photo shoot included long days, Taylor take a quick siesta between shoots. Nick, where is your favorite riding location and where is your dream ride? Anywhere with crystal clear water, lots of plant and animal life, and no civilization in sight. 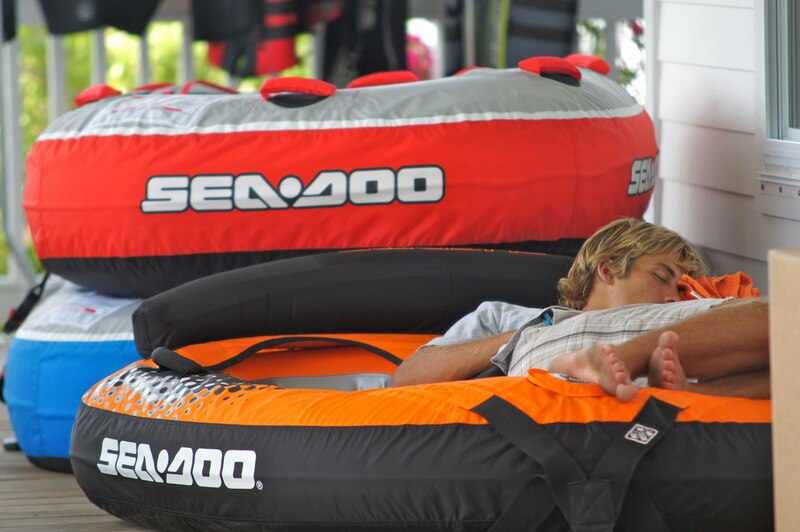 Thanks to Sea-Doo for all they’ve done for me and for their continued support of wakeskating over the years! I wouldn’t be where I am today without all of your help! You can see Nick Taylor in action and see how he does some of his favorite wakeskate tricks behind the Sea-Doo WAKE 155 and Sea-Doo 230 SP boat in the wake section of sea-doo.com. here are a few samples. In one of my last postings, I told you about upgrading to new 2011 models – a GTX iS 215 and a RTX iS 260. Until now, we’ve been riding with no suspension except our own legs. 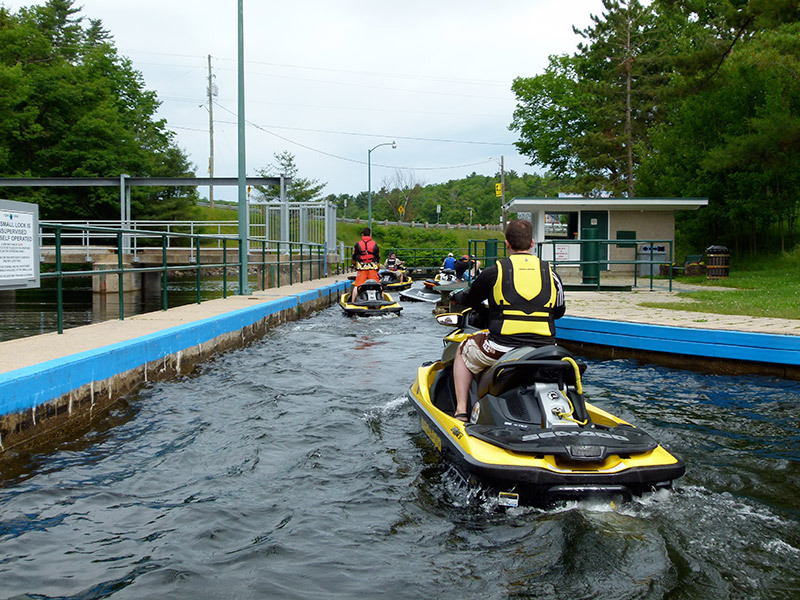 So our question was whether Sea-Doo’s exclusive iS really works and is worth the extra money. For me, the answer depends on the kind of riding you do and what kind of a rider you are. There’s no doubt that iS can make a measurable difference and up your fun factor. Without it, I can best describe solid contact with waves as a series of hard slaps. Imagine clapping your hands together sharply and continuously. With iS, those hard slaps becomes a series of subdued whoompfs, with iS absorbing some of the shocks to take the edge off each hit. iS is like clapping your hands wearing winter mitts instead of barehanded. So is iS worth it? 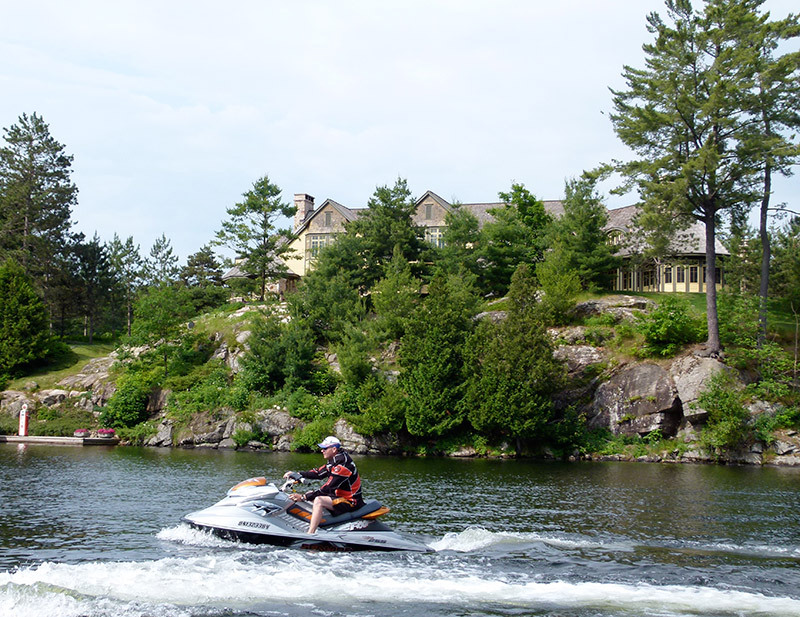 If you’re a casual rider that tries to avoid riding waves and mostly plays around in front of your cottage maybe not. But if you are ever far out there and have no choice about riding in conditions from choppy to wavy, or often ride with passengers, then iS will shine for you. And if you are or want to be a touring rider or destination cruiser like me, then iS can make or break your ride. Anyone over 40 will notice a remarkable reduction in body wear and tear with iS. It will do the same for those under 40; they’re just less likely to admit to any discomfort in the first place! When touring, I’m often on the water for 6 to 8 hours in a variety of conditions. Suddenly and unexpectedly, we can encounter various water moguls – chop, waves, boat wakes and what I call cross turbulence (random mingling of chop, wave and wake all at once). As my body tires, my muscles and reaction time both suffer, especially towards the end of a long day. That means I’m more susceptible to each bump and hit, and likely to pay for it later. But iS puts a buffer in place that helps me preserve strength, last longer and feel it less that night. I can even overeat at lunch and get away with it thanks to iS! Best of all with iS, I enjoy each moment of the ride more and don’t feel intimidated when the waves kick up. I just crank up my iS to the max and away I go. Talk to you next time! We asked you to submit your Sea-Doo related questions for September and we picked more than an handful out of our Sea-Doo hat to address. 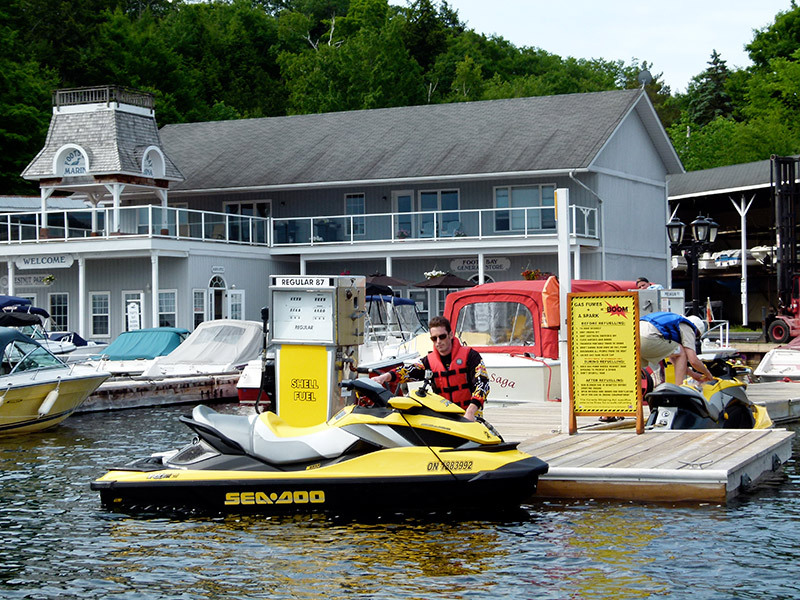 This month Tim McKercher, of Sea-Doo Media Relations and Competition management, addressed these questions in the below video. BRP will attempt to address your September questions and begin collecting new questions for our October edition of FAN Q&A.